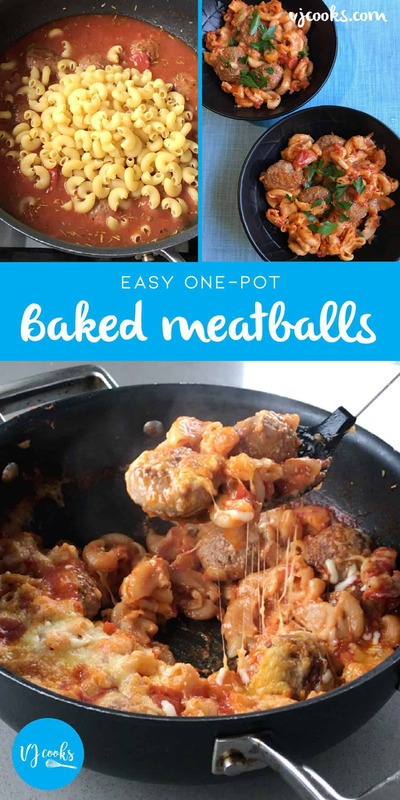 Baked meatballs is an easy one pot dinner and affordable family meal. The pasta bakes in the sauce with the meatballs then you top it with lots of cheese and bake until golden and bubbling! 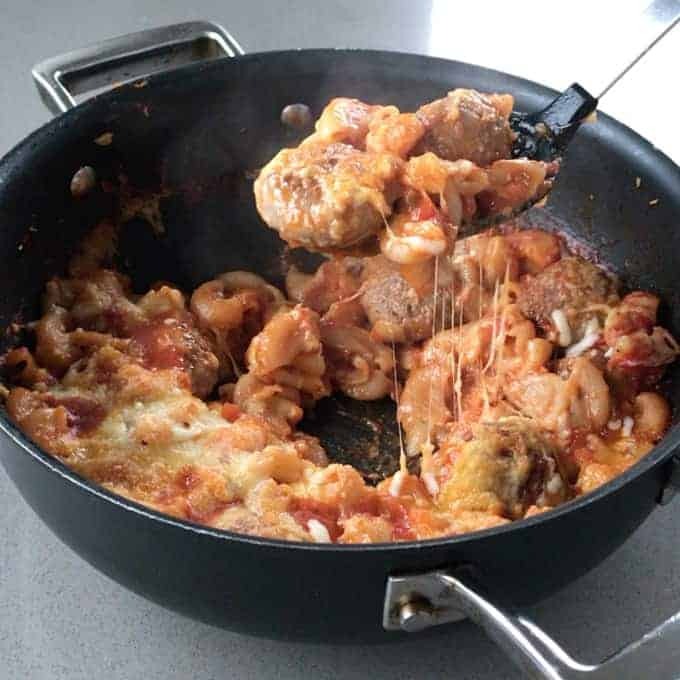 I love a one pot meal and these baked meatballs pack so much flavour into one easy dinner. 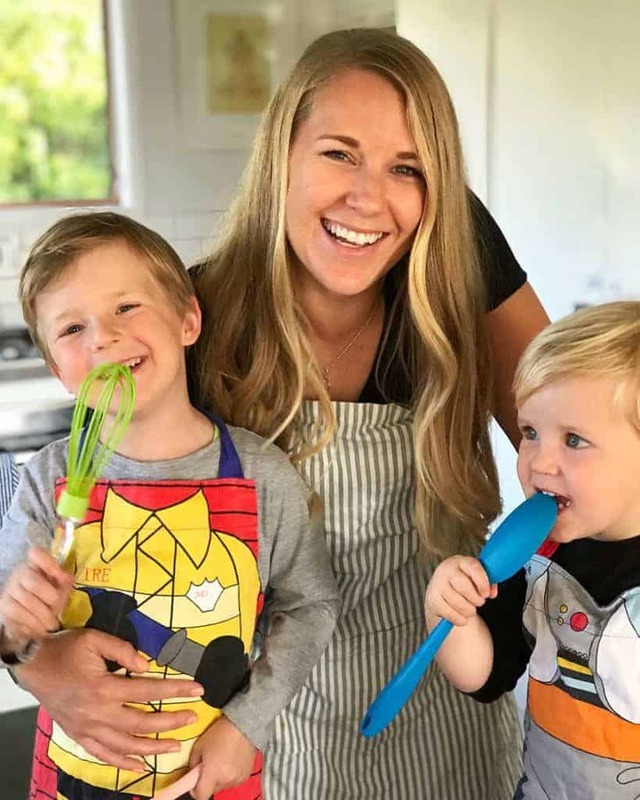 This recipe is started on the stovetop and finished off in the oven so make sure you have an ovenproof pan. 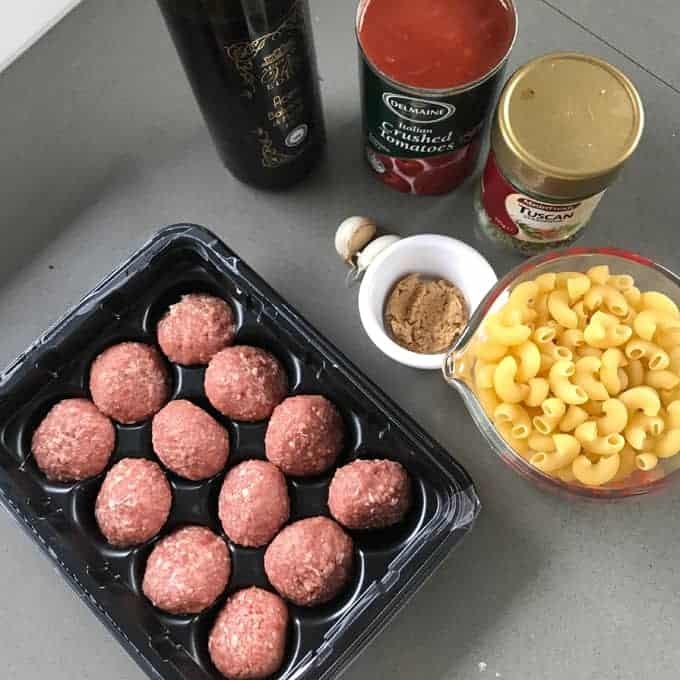 You can make the meatballs yourself or if you want a simple meal then buy them pre-made from your local supermarket or butcher. 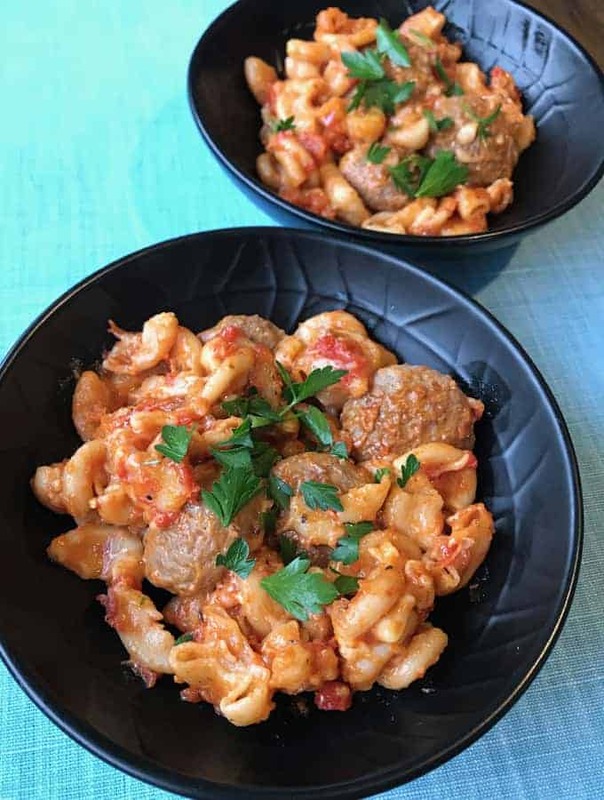 In this recipe after you have quickly browned the meatballs you add the liquid ingredients and the seasonings then the pasta cooks in the delicious sauce in the oven. 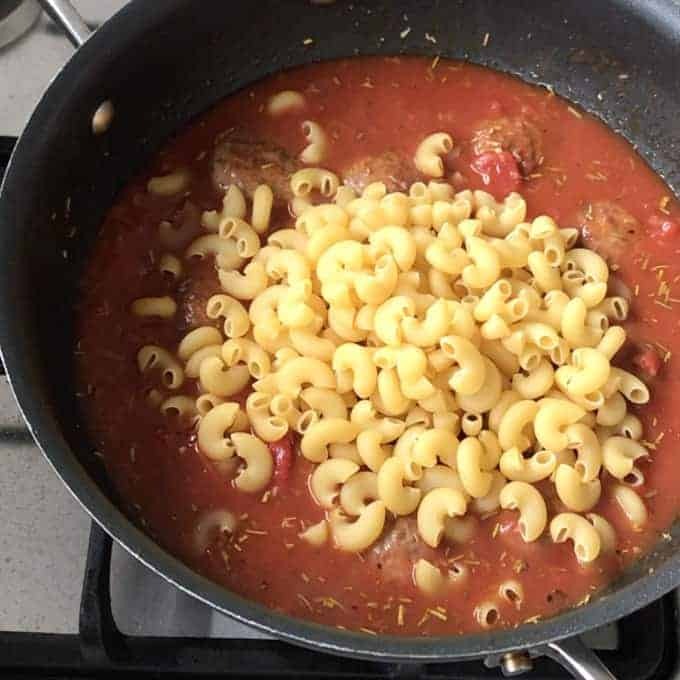 You can use any shape of pasta you like but cook times may vary. Once the pasta is cooked through you scatter grated cheese over the baked meatballs, then cook uncovered until the cheese is golden and bubbling. 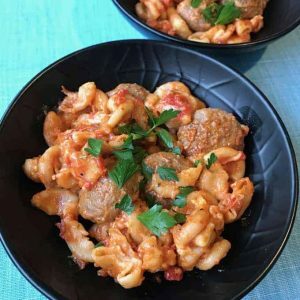 This one pot dinner is a super easy and affordable family meal, the pasta bakes in the sauce with the meatballs, top it off with lots of cheese and you can't go wrong! Preheat oven to 190°C fanbake. Heat olive oil in a frypan, add meatballs and brown on all sides. Turn off heat, add crushed tomatoes, water, brown sugar, dried herbs, tomato paste, garlic and balsamic then stir together. Pour in pasta, stir, cover and bake in the oven for 20-25 minutes. Stir once half way through cooking. Scatter over grated cheese and bake uncovered in the oven until golden.